If you are looking to add one of the Auxiliary Side Tank to your 950/990 Adventure or 950 Super Enduro then you have come to the right place. We are happy to introduce you to the components that will make that happen for you. 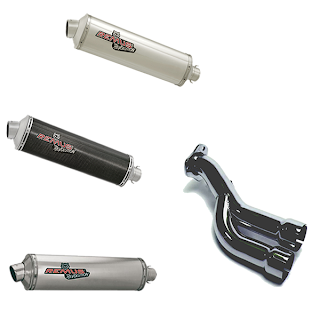 Remus is the first company to step up and offer their outstanding exhaust pipes in a single can format for those of you looking to switch over to this set up. All of the cans are forestry legal and are available in Carbon, Titanium and Aluminum. You will need either the 950/990 Adventure 2 into 1 Pipe or the 950 Super Enduro 2 into 1 Pipe to make this kit happen. Next time you are planning that trip to Alaska or down to the southern tip of Mexico take a little extra fuel with you.